RockCorps connects young adults and youth-hungry businesses, all in the name of giving. Who says teens are lethargic? 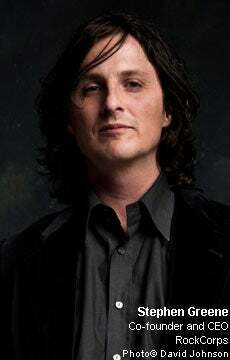 Not Stephen Greene, 42, co-founder and CEO of Los Angeles- based RockCorps, a pro-social production company that puts on concerts but doesn't sell tickets. Instead, RockCorps concertgoers must volunteer four hours to a local nonprofit organization to get into the highly coveted shows, which feature artists like Kanye West and Panic at the Disco. "We found that 80 percent of our core audience of 14- to 25-year-olds were interested in volunteering, but only 10 percent to 15 percent were actually doing so," Greene says. Sounds like a great nonprofit--only, it's not. Funding comes from companies eager to join the growing pro-social movement and pay to sponsor RockCorps events. "I think brands are realizing more and more that social activity and volunteering is as much a passion point for today's youth as music, film, sports and celebrity," Greene says. To that end, RockCorps has partnered with youth-oriented telecom companies like BoostMobile in the U.S. and Orange in the UK. Through those partnerships, RockCorps gets funding for its endeavors, and the companies gain a positive association with the youth market via nontraditional advertising. Greene is currently at work bringing the model to the sports world by partnering with the 2010 World Cup in South Africa and offering passes to marquee matches to kids who volunteer. Alloy Media + Marketing: Youth culture fanatics, Alloy's entertainment wing made the big time with the TV hit Gossip Girl while the consulting side advises Fortune 500 clients on how to reach teens through nontraditional media. Cellfish: Unbelievable, but this company has grown to 320 employees and more than $100 million in revenue mainly by selling ring tones. But international marketing expertise and mobile phone to PC integration have built Cellfish into a well-rounded enterprise. Edo Interactive: Edo created the "facecard," a prepaid debit MasterCard that lets customers sample new products. This "preward" strategy not only gets products in a key demographic's hands, but also lets businesses track their marketing goals and sales locations. Frengo: Frengo offers social networking for cell phones, letting users "buzz" online apps, games, blogs, even their location to one another. The service passed the 7 million user mark early this year. Hi5: The No. 1 social networking site in 30 countries, Hi5 is Facebook for the rest of the world. The San Francisco company aims to gain even more market share with a new gaming element on its site in February. PSFK: PSFK's well-informed daily posts reach some 400,000 marketers, and its influential "Purple List" is the Who's Who for movers and shakers in the digital youth marketing space. Skullcandy: Skullcandy's headphones, best known for dual iPod/cell phone jacks, went mainstream last year with a distribution deal from Best Buy. But the company still knows how to pull in a unique Millennial clientele. Threadless: Seen an ironic T-shirt lately? It probably came from Threadless, a community-based company that encourages its users to create and sell T-shirt designs. The concept earns Threadless $20 million a year--not too shabby for a company with only 20 employees. Volcom: The Southern Californian skate- and snowboard-clothing manufacturer has gained mass market acceptance of its anti-establishment ethos thanks to partnerships with high-profile athletes like snowboarder Shaun White.